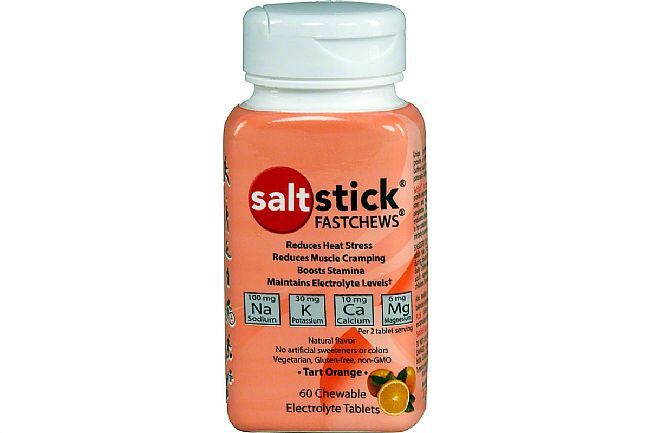 SaltStick’s Fastchews are tasty, chewable electrolyte replacement tablets that are formulated to closely resemble the electrolyte profile that’s lost in sweat. Fastchews reduce muscle cramping, enhance stamina, and maintain optimal electrolyte levels. The ingredients are simple and safe (non-GMO, gluten-free, vegetarian, fat-free). 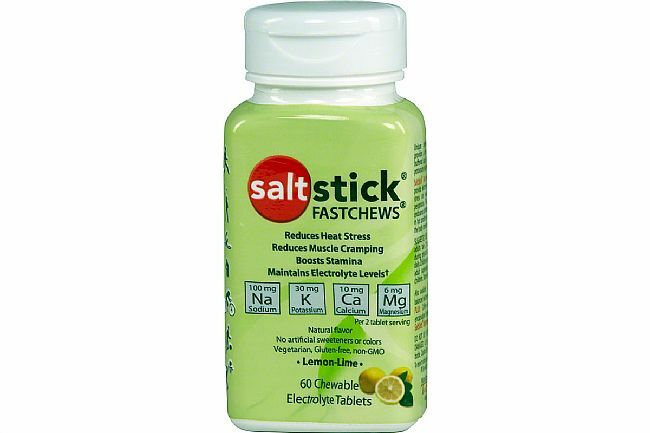 Each serving of Fastchews (2 tablets) contains 100 mg sodium, 30 mg potassium, 10 mg calcium, and 6 mg magnesium.